It’s thick. It’s rich. And frankly, it’s amazing! There are two kinds of people in this world: those who love cheesecake and weirdos. For the first group, this Monday could be magical. 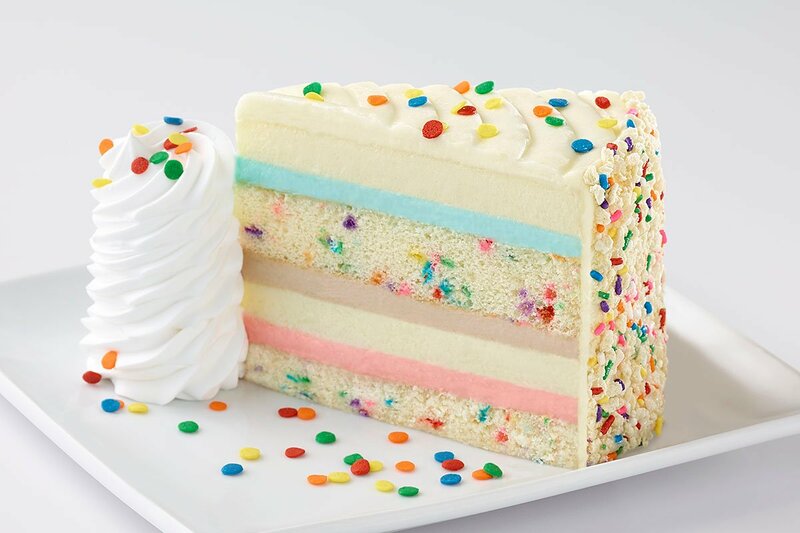 To honor National Cheesecake Day, everyone’s favorite purveyor of this decadent dessert, The Cheesecake Factory, will offer half-priced cheesecake slices on July 30! To make the deal even sweeter, the chain will also be unveiling two new cheesecakes: Very Cherry Ghirardelli Chocolate and Cinnabon Cinnamon Swirl. Standard menu pricing for a slice of cheesecake at The Cheesecake Factory is $8, which may seem pretty steep before you taste it. But the slices are huge, and their flavor combinations are a steal at $4. The offer is good for one slice per guest and dine-in only. But before you groan at the rules, check this out: I called my local Cheesecake Factory to ask about the rules, and learned you don’t even have to order a meal. You can stop in just to have dessert! Though you don’t have to order a meal, I do recommend a nice glass of wine to pair with the cheesecake. It’s OK. You deserve it. Think of the possibilities. You could go classic with a slice of original cheesecake. You could feed your chocolate cravings with the Godiva chocolate cheesecake. You can even go guilt-free with a slice of low-carb original or low-carb original with strawberries. You have nearly 40 options to choose from on its tantalizing cheesecake menu. Call your friends, make a date with your spouse or significant other, or just treat yourself to a solo date. It’s a treat we all deserve. Tyler Omoth is a senior writer at The Penny Hoarder who loves soaking up the sun and finding creative ways to help others. Catch him on Twitter at @Tyomoth or snarfing down a slice of cheesecake around Tampa, Florida, this weekend!